This week we eased into homeschooling. 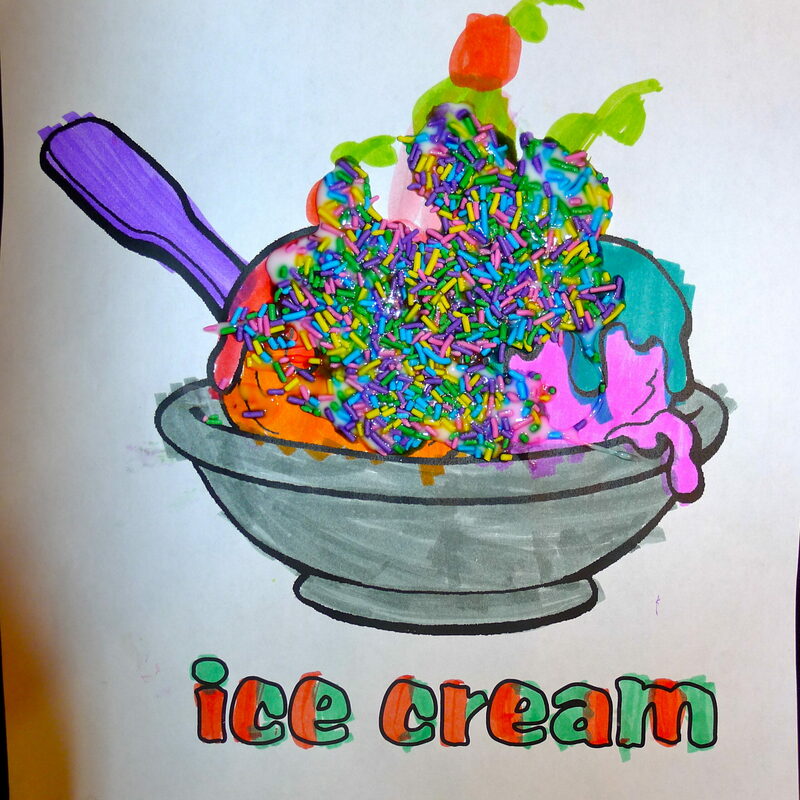 The letter of the week was “Ii” and our theme was ice cream. 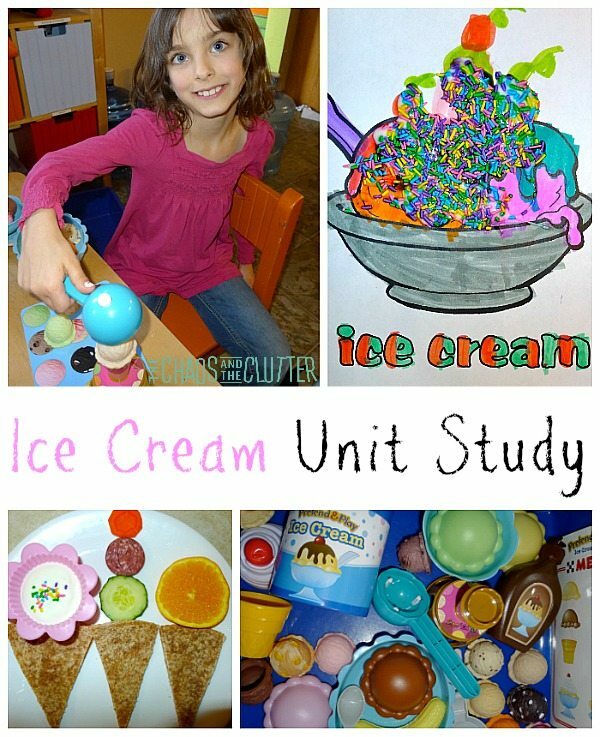 With an ice cream unit study, it came as no surprise that there was little complaining from the kids! Monday, we took all the kids to see “We Bought a Zoo” (great movie) and the kids and I played Scoop Em’ Up. 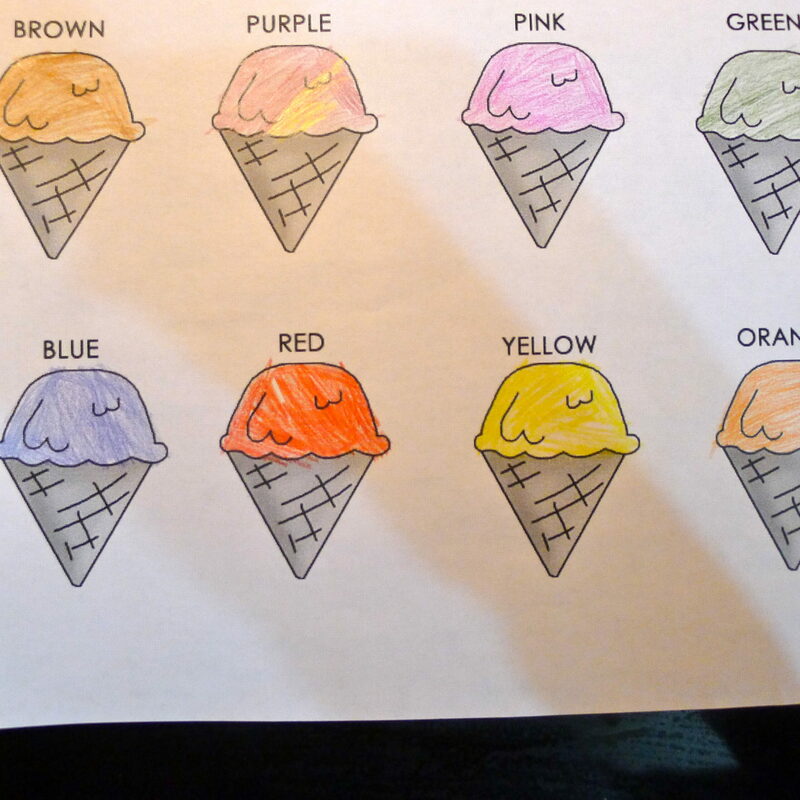 The goal of the game is to get all 12 scoops of ice cream of the cone. 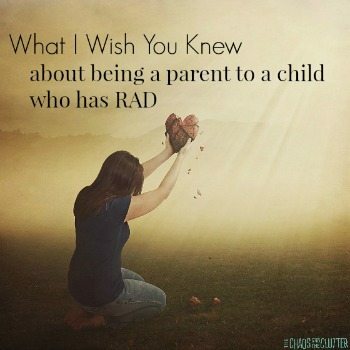 We all tried many times, but only one of the kids was able to do it and even then, it was only the one time. It’s harder than it looks! As part of our unit study, the kids completed some worksheets related to ice cream. 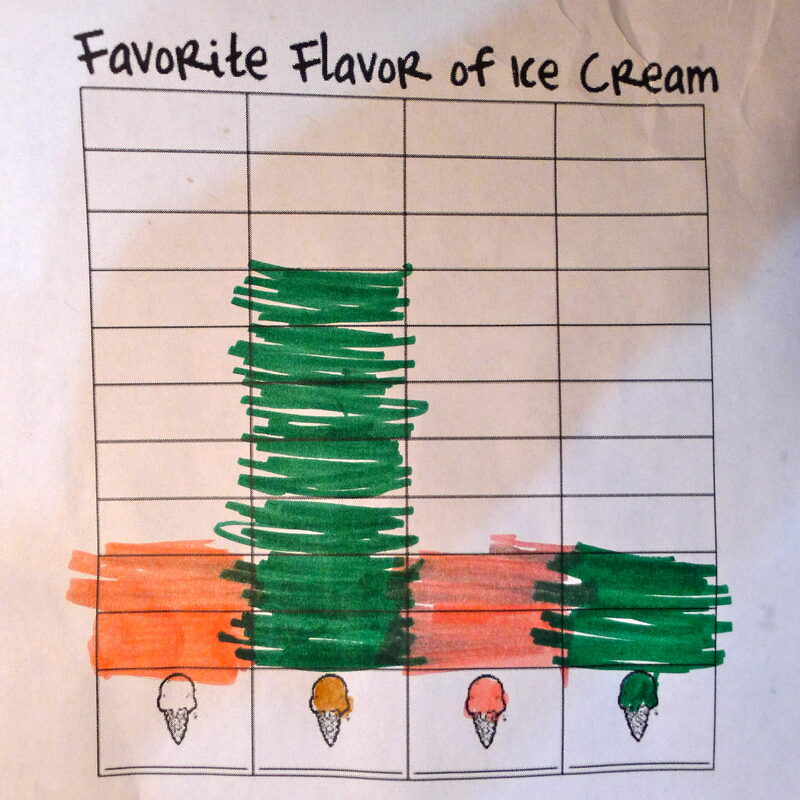 We incorporated a bit of math by graphing people’s flavour preferences, the kids coloured a sundae and glued sprinkles on top, there were dot-to-dot worksheets, and ones related to colours. Granola Girl went a little overboard with the sprinkles!!! It was interesting that the results of the ice cream flavours survey differed considerably when chocolate and vanilla were not offered as options. 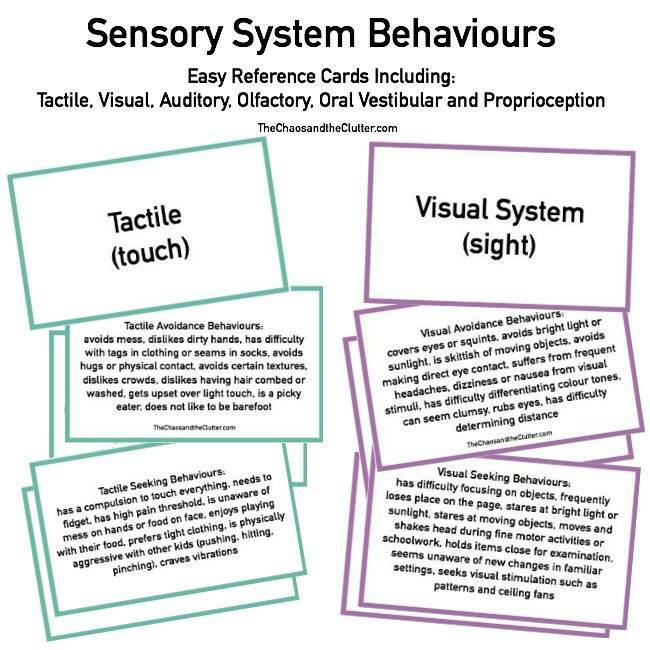 This simple worksheet was a fun reinforcer of the colours. 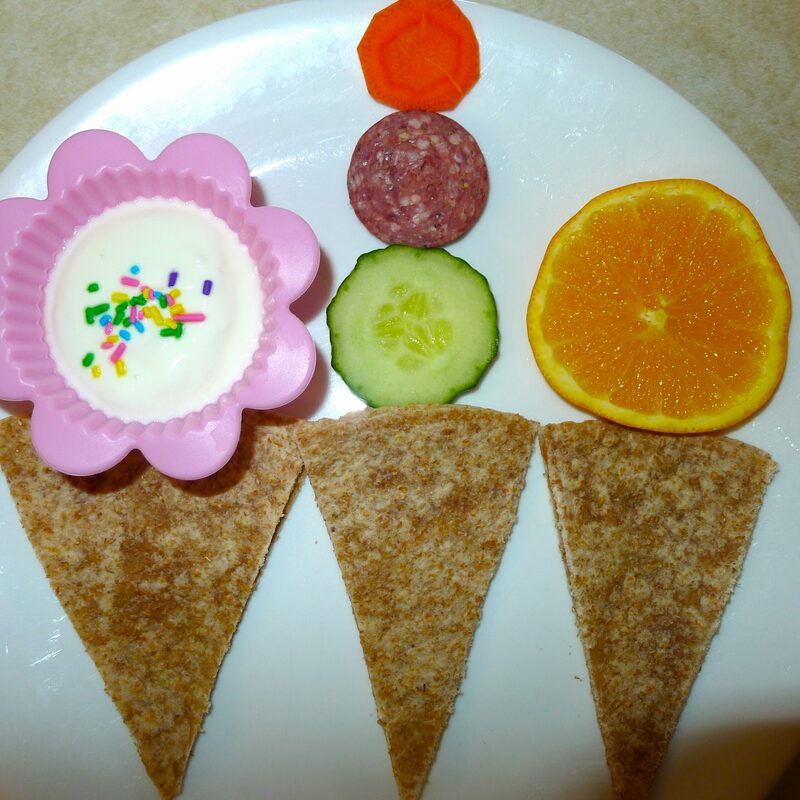 The kids thought the ice cream themed lunch was super cool! 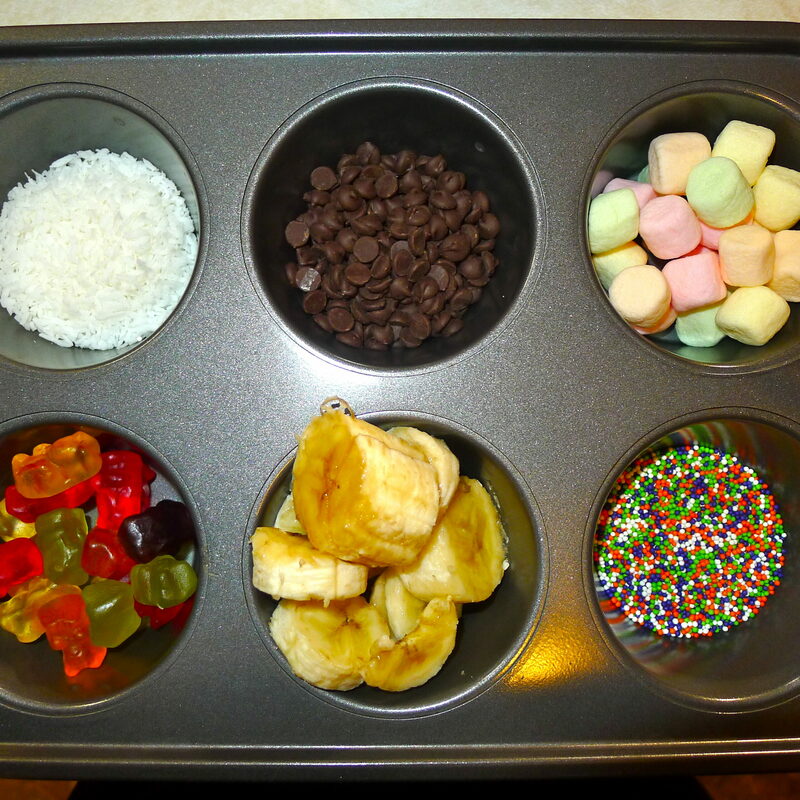 Later in the day, I gave each of the kids some ice cream in a bowl and set out two trays of toppings for them to have fun with. 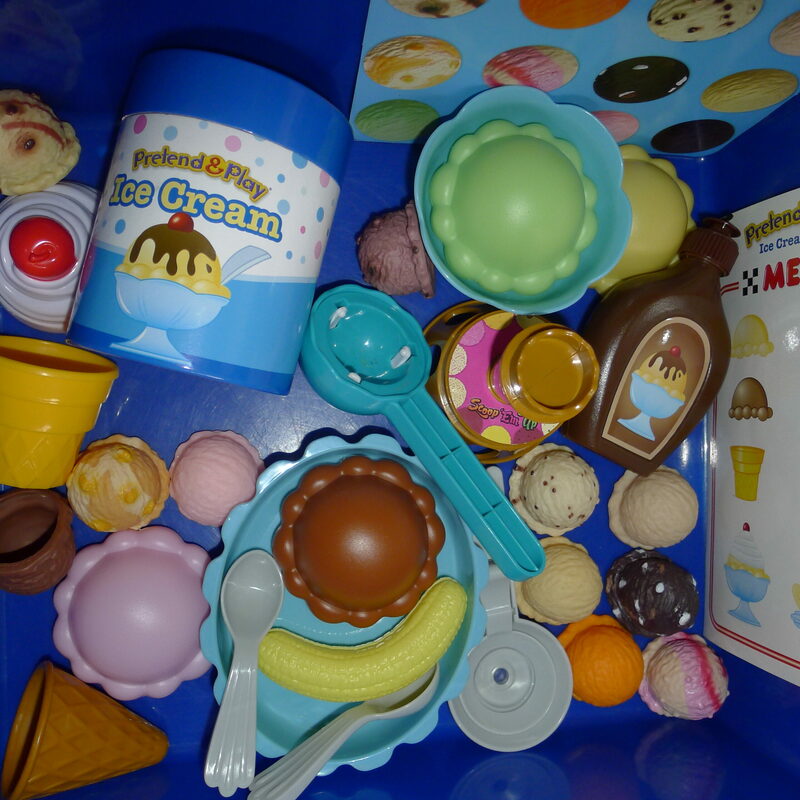 Also to go with the ice cream unit study, I made an ice cream sensory bin. The kids spent a lot of time playing in it. 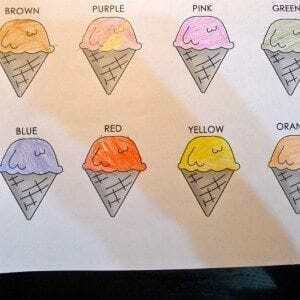 We are going to make ice cream in a bag tomorrow and maybe have one more taste of ice cream as we fill out the ice cream observations worksheet. Next week, our homeschool will be back in full swing. It will be a busy week as I plan for my book launch and we have my mother-in-law’s birthday and my niece’s wedding. We are so excited for the wedding and for seeing our out of town relatives! I love the theme. 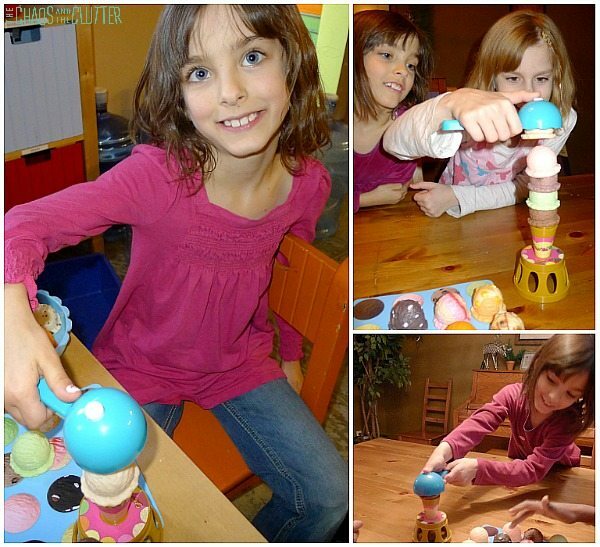 That scoop it game looks like so much fun. You are such a creative mother and teacher. What a great theme!! I know my kids would all enjoy it. Beans did a survey on ice cream in November. 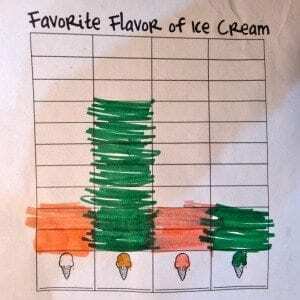 She had to find out the most popular flavours and graph them. 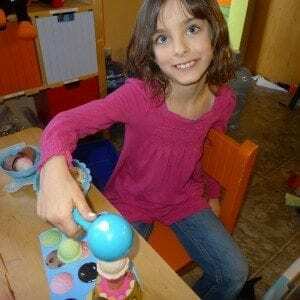 It was funny because she made the neaopolitan bar the three colours just like the ice cream. Praying next week goes smoothly for you! Sounds like a fun week!! I’m going to look up that game. 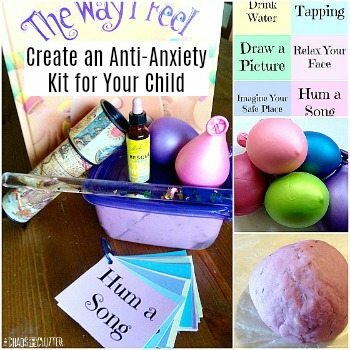 My daughter would benefit from it. Not only that she would love it. 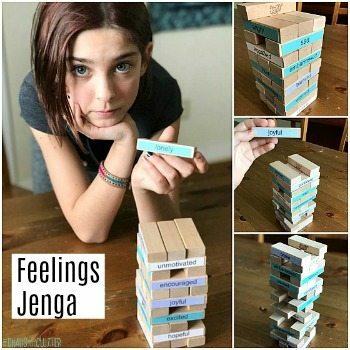 Visiting from Homeschool Mother’s Journal. What fun tins! I love toppings! The cones with all kinds of foods as scoops is really cool. Love the ice cream idea. 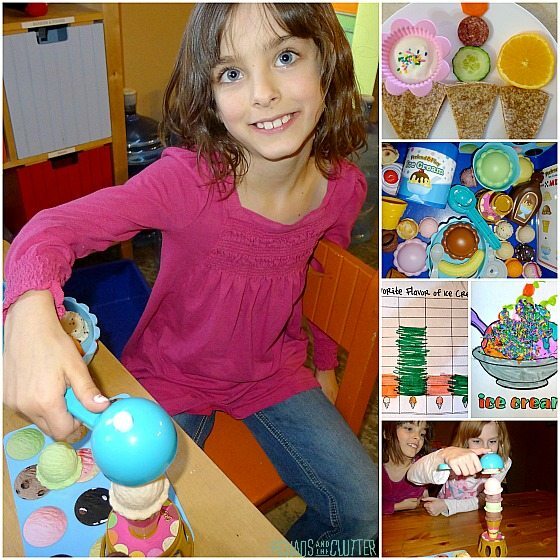 Especially having the kids make their own with all the fun toppings. My boys would love that. Thanks for linking up with Tender Moments.